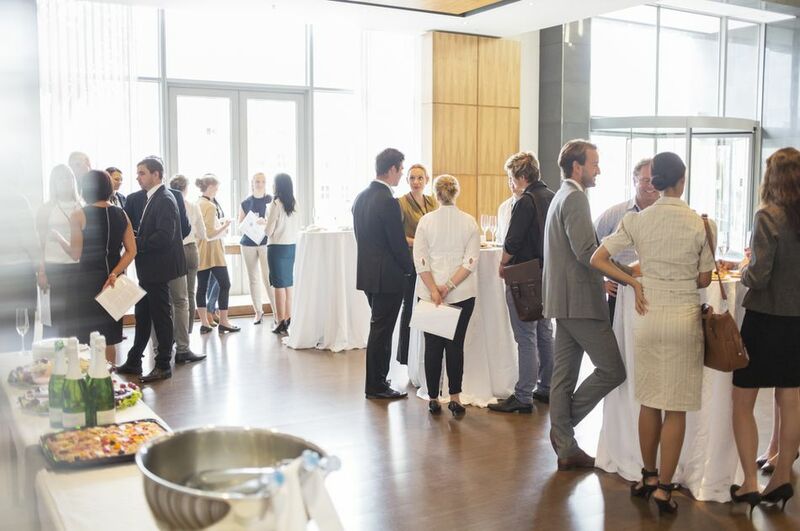 When planning the food and beverage for any event, it's important to consider the not-so-obvious items to help ensure a successful program and delicious meal. Catered events are often known to provide sub-par food at best and inedible food at worst. Don't fall victim to less-than-stellar event food. The following nine steps to catering coordination and menu planning will ensure that your event stands out among the typical catered event meals. Older groups of attendees may prefer a milder menu. Attendees concerned about health and fitness may prefer more seafood and vegetarian options. Younger or middle-aged attendees may prefer spicier or simply more adventurous meals. The idea here is to consider what your guests will enjoy the most based on the type of event you are planning. Offer at least two choices of entrées (three is even better). Offer three or more salad dressing options for salad courses. Serve all condiments on the side. Offer two dessert options: one very indulgent, one healthy. When selecting the menu, the time of year should play a large factor in determining food and beverage. Take into consideration which items are in season for spring or winter menus. Another important factor is to consider the region or location of the event and popular food items from the area. Incorporate fresh seafood or regionally grown produce to reflect the locale and ensure some of the freshest ingredients. Box lunches are best if you have 30 minutes or on the go. Plated meals usually require at least 1.5 hours. Buffets may be completed in about 1 hour. Cocktail receptions require a minimum of 1 hour before dinner. Working breakfasts or lunches should incorporate menu items that can hold up for longer periods of time without ruining the integrity of the food. Boardroom setup should be for a maximum of 15 guests. U-shape and rectangular table layouts promote discussion, but are less accommodating for buffet meals. Classroom style is great for a presentation. Banquet style promotes small group discussions. Regardless of the setup, allow for people to spread out. For instance, you might consider setting a 10-person banquet table for only eight prople. It is said by the best chefs that we eat with our eyes and our noses before actually tasting the food. Whether it's served plated or buffet, a catered meal should by visually colorful, fragrant, and most importantly appetizing. The presentation of food should make your guests want to eat it. It means linens and decorations that complement the theme of the meal. If it doesn't look good and smell good, your guests will not be happy. What Is the Importance of Catering Numbers?